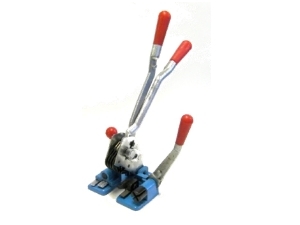 Budget manual combination type (tensions and crimps) strapping tool, designed to tighten 12mm PP (Plastic) strapping around cartons. Used with 12mm (UP12) open metal seals. Recommended for low volume applications.